Training by a competent Explosives Engineer can be given to key personnel on sites with an identified UXO risk. The trained personnel can then provide an awareness of the risk and steps to take in the event of an incident to all subsequent site contractors. Safety & Awareness Briefings are provided to anyone conducting intrusive works on a site with an associated Explosives / UXO Risk. The briefings are designed to provide an understanding of the risks and the procedures to follow in the event of a UXO find. Moreover basic recognition guidance posters will be provided for display. 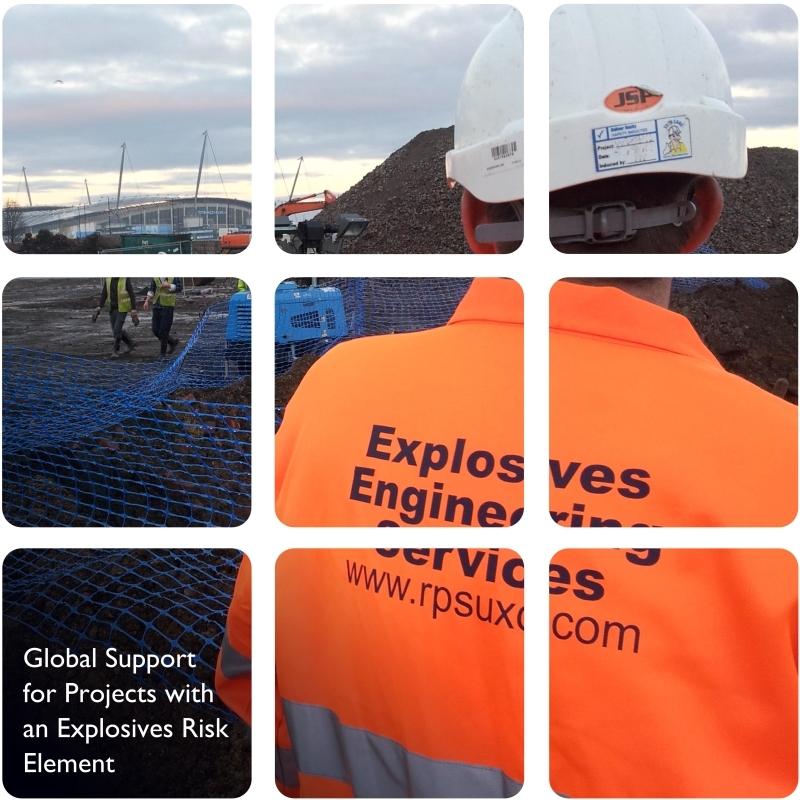 Fully qualified Explosives Engineers are supplied to sites to monitor intrusive ground works and can provide an immediate on site response in the event of an ordnance find. The Engineers would manage the incident before handing over the situation to the relevant authorities. In the event of a suspected ordnance find on your site EES can rapidly deploy a fully qualified Explosives Engineer who will deal with the situation and reduce the disruption caused to a minimum. RPS EES are located on the England / Wales border and also in London, so can respond to sites located across the UK.